Another great side from the Truth & Soul label, featuring a terrific vocal by Nicole Wray and a throw-back arrangement whose waltz-time creates an easy Southern groove. Fans of the Black Keys may already know Wray from the BlakRoc album. 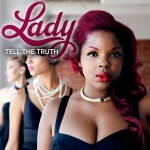 You can download the single (below) through July 26, and you can find the album here. Though country music is most typically associated with the Southern United States, its impact has been felt all around the world. In addition to Nashville and Texas exports, a strong but little-known strain developed among Australian aboriginals in the second half of the twentieth century. American songs were repurposed to tell stories of harsh conditions in the outback, and lyrics of country-to-city migration, drinking and prison all found resonance in the freewheeling down-under. But Australians also stretched the genre with localized stories, locations and slang, and dark themes of social injustice that had more in common with America’s folk, blues and outlaw movements than country’s mainstream. 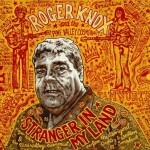 Roger Knox, known as both the Koori King of Country and the Black Elvis (check out his early work on Best of Koori Classic), has been an Australian favorite for more than 30 years, but like so many from outside Nashville, his music has always been too country for country. His parallels to other outspoken artists are many, but none more so than Johnny Cash, whose sympathies for the repressed, downtrodden and imprisoned are mirrored in Knox’s work. On this first new record in nine years, Knox revisits the history of aboriginal country music, reworking his own contributions and covering classics of the genre. He’s backed seamlessly by Jon Langford’s Pine Valley Cosmonauts, with guest appearances by Dave Alvin, Sally Timms, Kelly Hogan, Bonnie Prince Billie, The Sadies and Charlie Louvin. The latter, heard on “Ticket to Nowhere,” is thought to have been making his last recorded performance. Way back in the early 1980s, when only graduate students and industrial researchers had access to the Internet, information about bands spread much more slowly. And so the dB’s first two albums, originally released on the London-based Albion label and imported back to the group’s native U.S. shores, were difficult to learn about, harder to find, and even trickier to put into context. Bits and pieces of the group’s background eventually circulated, with Chris Stamey’s tenure as Alex Chilton’s bassist providing a tantalizingly obscure connection to the ultimate cult pop band, Big Star. Stamey, Gene Holder and Will Rigby’s earlier work as Sneakers also resurfaced, providing a link to Mitch Easter, and thus to REM, and eventually scenes in Georgia, North Carolina, New York and beyond. A special edition of the group’s second album, Repercussions, was accompanied by a bonus cassette of their debut, but even this promotion couldn’t push the records from great reviews to great sales. Stamey left the band to pursue a solo career, and Peter Holsapple led the band on albums for Bearsville and IRS. College radio managed to launch REM into the mainstream, but the dB’s (despite an opening tour slot for their Athens-based comrades) couldn’t convert cult popularity into commercial success. The group disbanded in 1988, spinning off solo careers, occasional collaborations (particularly between Stamey and Holsapple) and eventually a new edition of the band for 1994’s IRS-released Paris Avenue. 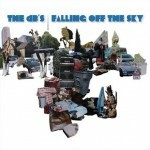 Thirty years Chris Stamey left the original quartet, they’ve rejoined for Falling off the Sky. Three decades on, their voices are still easily recognized and their musical ideas still combine easily, but the result is something different as fifty-somethings than it was as twenty-somethings. Their fans have aged as well, growing from college students into parents, witnessing the group members’ various pursuits, and seeing what was once considered alternative co-opted by the mainstream. So while the album doesn’t crackle with the reinvention of the group’s original debut, the musical affinities – the interlacing of vocals, the rhythm section’s play against the guitars – are still full of life, and connect strongly to the dB’s origins. Peter Holsapple’s aptly-titled opener, “That Time is Gone,” suggests the group was acutely aware that a reunion could easily slide into limp nostalgia. 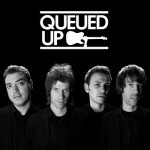 With a rhythm guitar that touches on the Gun Club, a twist of Sir Douglas in the organ and a maddeningly insistent guitar figure, the lyric of middle-age awakening is like a weary postard from a well-traveled musician. Holsapple neither celebrates nor laments the passing of time, but notes it as an inexorable fact and moves on. Stamey deploys his nostalgia more abstractly, writing wistfully of lovers whose flame has flickered out, and matching Holsapple’s mood of disappointment without disillusion. The bitterness of the songwriters’ early years has mellowed appreciably, though Holsapple’s “World to Cry” offers some pointedly snarky recrimination. 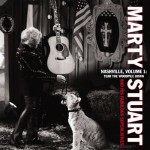 Marty Stuart is a living, breathing link to the heart and soul of country music. His voice is authentic, his songs weave new threads into the existing historical tapestry, and his band is as sharp as the Buckaroos in their prime. This latest album demonstrates how strongly Stuart connects to the headwaters and multiple tributaries that have flowed in and out of country’s main branch, with music that is possessed by Bakersfield sting, Memphis rockabilly, Nashville steel, Bluegrass harmonies and Appalachian strings. It’s a fitting follow-up to 2010’s Ghost Train, and a nice addition to a string of albums, starting with 1999’s thematic The Pilgrim, that’s included country, gospel, bluegrass and honky-tonk. It’s no accident that Stuart’s pictured playfully taunting a young lion cub on the album cover, as he was that very cub upon arriving in Nashville in 1972. He may have grown into the role of historian and elder statesmen, but his intellectual knowledge of country music never obscures his first-hand experience. 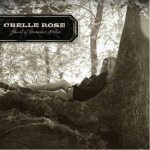 The wide-eyed desire he originally brought to Nashville is still evident as the band blazes through the title track. Their frenetic twin guitar lead, twanging steel and faith-tinged backing vocals are as hot as the song’s beat, and they step it up another notch for the Larry Collins-Joe Maphis styled guitar duet “Hollywood Boogie.” Across electric waltzes, steel ballads and country rockers, Stuart sings of the hard climb, heartbreak, failure and fleeting success that greet Nashville transplants. 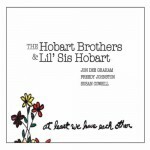 The Hobart Brothers & Lil’ Sis Hobart bring together three respected soloists from the Americana scene: Jon Dee Graham, Freedy Johnson and Susan Cowsill. The latter had a large helping of mainstream fame in the 1960s with her family’s group, The Cowsills, but since the 1980s she’s made a name for herself a backing vocalist, a charter member of the Continental Drifters and with a low-key solo career over the past decade. Graham’s first notoriety came with the Skunks and the True Believers, and after years collaborating with others (and briefly dropping out of the industry), he began a solo career with 1999’s exceptional Escape from Monster Island. Johnston began his career as a singer-songwriter in the early ‘90s, starting with rootsy sounds that quickly took in more country flavor. What’s obvious from the album’s very first track, is that the three musicians’ individual paths led them to a place of tight collaboration. Johnston’s indie roots, Graham’s driving rock and bohemian growl, Cowsill’s hook-filled pop, and all three’s immersion in country, blues and folk, come together easily, as if they’d been a group for years. Those fictional years as a family are turned concrete by the shared experiences brought to their songwriting, populating their lyrics with images from blue roads and bluer hearts. Graham’s “All Things Being Equal” reaches outside his personal experience for a harrowing portrait of a failed cotton market, but his “Almost Dinnertime” and Cowsill’s “Sodapoptree” offer gentler notes of warm nostalgia. Butchers Blind’s two previous releases, 2009’s One More Time and 2011’s Play for Films, showed off a wonderfully melodic form of rock-based Americana. 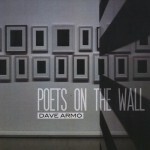 Here they show how well it translates to the stage, recorded in November 2011 at Pianos in New York City. Sweden’s Sweet Serenades make pop music that suggests they’ve fallen through a time vortex into the prime of early-80s MTV. In the snappy “Moving On” you can hear shades of the Buggles, Motors, Alarm, Call, Echo & The Bunnymen, Teardrop Explodes, and other favorites of music video’s golden age.